Thanksgiving is upon us and for many the holiday will rekindle our dream of proving a Mayflower line. NGS members with access to the society’s online archive of the NGS Quarterly can find several articles to help in such a quest. Most helpful of all are articles which report a line of descent from a specific Mayflower passenger. There are many articles in the archives about old Massachusetts families, but rarely does the article’s title tell us whether the line began on the Mayflower. Usually it is necessary to search by family name and then read an article to see if a Mayflower ancestor is identified. One NGSQ book review though did announce in its title that it was about a Mayflower line: Shirley M. Pizziferri, "White. John Howland of the Mayflower: Volume 1. The First Five Generations," National Genealogical Society Quarterly 79 (September 1991): 228. It is more likely that a general overview of Mayflower research is what we need to get started. Elizabeth Pearson Wright published just such an article in 1985: Elizabeth Pearson White, "Finding the Mayflower Ancestors," National Genealogical Society Quarterly 73 (December 1985): 263-276. She listed the identified passengers on the Mayflower (pointing out that, even in the late twentieth century, new names were being added to the accepted list) and then discussed the various record types available to trace their families. In the same issue, Ruth Wilder Sherman added an excellent overview of the vital records of that period: Ruth Wilder Sherman, "New England Vital Records in the Seventeenth Century," National Genealogical Society Quarterly 73 (December 1985): 277-288. Genealogists can give thanks that such records are available and that these guides to them are there for us to read. [Members Only] Browse the National Genealogical Society Quarterly Online -- Recent issues (1979 and 1981–current) of the National Genealogical Society Quarterly are currently available to members of the society, and limited back issues will be added to the online collection periodically. 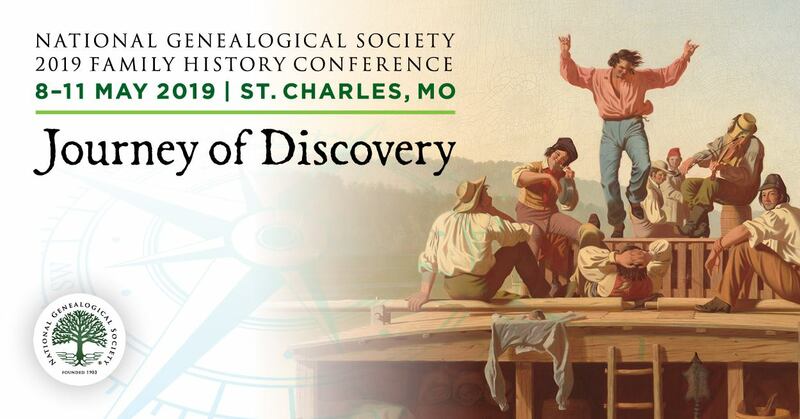 [FREE to all] Search the National Genealogical Society Quarterly Index -- Search the index by author or title, or browse by year to find the article or volume of interest.